The Grande Prairie & District Chamber of Commerce acts as a unified voice for business of all sizes and interests. Active locally, provincially and nationally, the Chamber is a truly independent advocacy organization. Our Chamber also partners in the highly-respected advocacy efforts of the Alberta and Canadian Chambers of Commerce to monitor pending legislation and regulation, and act on behalf of business to ensure the development and promotion of activities that ensure the Grande Prairie region’s business community’s continued growth and prosperity. We work locally to make Alberta Northwest a great place for everyone to live. Our staff and volunteers work with people from across the region to end poverty, help kids succeed, and build extraordinary communities. Our vision: A great city for all. Our mission: To improve lives and build extraordinary communities by engaging individuals and mobilizing collective action. Content rich displays, video documentaries and hands-on exhibits give visitors a multi-sensory perception of what life what like for those who called Grande Prairie and area home. The Heritage Discovery Centre is also home to ‘Piper’, a life-size, animatronic dinosaur who represents the Pachyrhinosaurus species discovered in the Peace Country. The Discovery Centre offers a high level of accessibility and is suitable for all ages. Events, public and educational programs are held at the Heritage Discovery Centre year-round. Visit the Culture and Heritage event calendar at www.cityofgp.com/CultureEvents for upcoming events and public programs. There are separate hours that will pertain to each facility as well. Some of our buildings are open during special events. The Sports Development, Wellness and Culture Department (SDWC) is an integral part of Grande Prairie’s cultural mosaic. We share our community’s passions and celebrate its diversity in order to nurture everyone’s sense of belonging. The focus of this department is to liaise, support, nurture new and existing sport, culture, neighbourhood associations and other groups that may advocate, promote, further develop the leisure and wellness opportunities in Grande Prairie. Opened in 1971, the Grande Prairie Museum focuses on the people’s history of the Grande Prairie region. 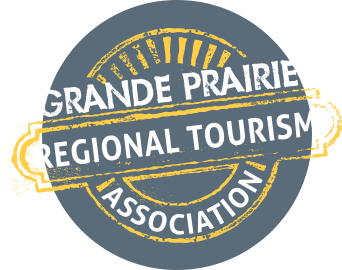 The City of Grande Prairie has 17 active Neighbourhood Associations and growing. Get involved in your neighbourhood, together we can make a difference! Located in Centre 2000, the Heritage Discovery Centre takes visitors through the natural history of the Peace Region. A historic Heritage Village that features buildings and equipment to provide visitors with a visual representation of what life was like for early settlers. The Village is only accessible through the Grande Prairie Museum during the summer season. Muskoseepi Park is composed of many areas and runs through the heart of our City of Grande Prairie. Operations of Muskoseepi Park are run out of the Ernie Radbourne Pavilion. Recognized as a Provincial Historic Resource Site, the Reverend Forbes Homestead is Grande Prairie’s oldest log structure and the adjoining Pioneer Hospital served as Grande Prairie’s first hospital. Open during the summer season. South Bear Creek Park offers a wide variety of recreational activities including sporting facilities such as ball diamonds, beach volleyball courts, and a Par 3 Bear Paw golf course. The park also offers a pavilion and picnic area, walking trails, an off leash dog park, and overnight camping.